The latest announcement by British authorities of two named Russian suspects in connection with the alleged poison assassination of a former Russian spy and his daughter is more absurd drama in a long-running tawdry saga. No verifiable evidence is ever presented, just more lurid innuendo and more refusal by the British authorities to abide by any due process and international norms of diplomacy. It is all scurrilous sound and fury aimed at smearing Russia. This week, Britain’s Metropolitan Police released video shots of two alleged Russian men purporting to show them arriving at London’s Gatwick airport on March 2. Other video shots purport to show the same men walking the streets of Salisbury on March 3, the day before former Russian Sergei Skripal and his daughter Yulia were apparently stricken with a powerful nerve agent. The two would-be assassins then allegedly flew back to Moscow from London late on March 4. One preposterous claim, among several by the British authorities, is that traces of the putative nerve poison Novichok were found in the London hotel room where the alleged Kremlin agents stayed. The incompetence of the two supposed super assassins beggars belief. More realistically clumsy, however, is the attempt by the British to lay an incriminating trail. The day after the Met police announcement implicating the two Russian culprits, Britain’s Prime Minister Theresa May stood up in front of her parliament and claimed that the two individuals were members of Russian military intelligence, the GRU. Another British minister, Ben Wallace, accused Russian President Vladimir Putin of having personal responsibility for ordering the alleged assassination plot. 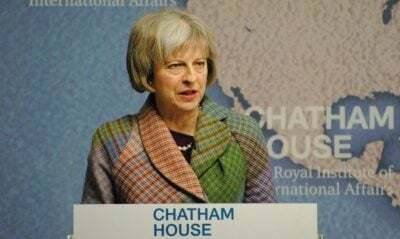 Then on Thursday Britain summoned the United Nations Security Council to hash over the lurid claims against Russia without providing any further substantiating details to back up the sensational accusations. This is nothing other than more trial-by-media, a process of railroading allegations against Russia, not on any basis of legal due process, but simply by bluster and prejudice. The credulous British news media play a dutiful secondary role in giving the claims a semblance of credibility, instead of asking the gaping questions that are warranted. As Vasily Nebenzia, Russia’s envoy to the UN, remarked, the whole aim of the British claims is to whip up more international anti-Russia frenzy and hysteria. No sooner had Britain unleashed its latest allegations, a joint statement was released by the United States, Canada, Germany and France supporting the British claims. Britain is now calling for more punitive sanctions against Moscow just as it had triggered earlier this year when the Skripals apparently fell ill on a park bench in the southern English town of Salisbury. Some 28 countries have expelled Russian diplomats over those earlier and as-yet unfounded claims. More expulsions can thus be expected, with the intended effect of framing Russia as a pariah state. The timing of this week’s twist in the Skripal saga seems pertinent. The US, Britain and France are threatening to launch military strikes on Syria just as the Syrian army and its Russian ally move to defeat the last-remaining stronghold of NATO-backed terror groups in that country, potentially bringing an end to the Western-backed criminal war for regime change against the Assad government in Damascus. Last month, too, Germany’s Chancellor Angela Merkel held a productive, cordial summit with President Putin near Berlin, where the two leaders appeared to solidify a rapprochement over a crucial energy project between Russia the European Union. The British government is also teetering on political implosion from the Brexit debacle and growing public contempt. As Russia’s UN envoy Nebenzia further pointed out, how is it possible that the British prime minister can make the categorical claim that the two alleged Russian men in the video shots released this week are members of the GRU? Typically, she made the claim without providing any substantiating information. This was the same kind of plucking from thin air that Theresa May performed only days after the Skripals were apparently poisoned in Salisbury on March 4. Again, back then, May stood in front of parliament and dramatically accused Russia of a state-sponsored assassination attempt. The British authorities have cast, and continue to cast, a verdict without any legal case. That verdict relies entirely on Russophobia and prejudice of Russian malfeasance. Former British ambassador Craig Murray and other astute observers have noted that the latest video shots released by Britain’s counter-terrorism police are highly questionable. The images could have been easily fabricated with modern digital methods. They are not evidence of anything. Yet, suspiciously, the British authorities are in unseemly haste to make their sensational charges of Russian state culpability. Moscow has condemned the reprehensible rhetoric used by the British prime minister and senior members of her cabinet in throwing grave allegations against the Russian leadership. Britain’s trashing of diplomatic norms is deplorable, befitting a rogue state that is itching for conflict. The fact is that the British have spurned any normal legal attempt by Russia to access the supposed investigation in order to ascertain the nature of the alleged information incriminating Moscow. If Britain had a case, then why doesn’t it permit an independent assessment? Russia is being denigrated with foul accusations, and yet Moscow is denied the right to defend itself by being able to ascertain the information. The British technique is that of an inquisition making a mockery of legal standards. Another salient fact is that the whereabouts of the Skripals is not known – six months after the alleged poisoning incident. Russia has been repeatedly denied consular contact with one of its citizens, Yulia Skripal, whose bizarre one-off appearance in a video, released by the British authorities three months ago, conveyed her wish to return to her homeland of Russia. Britain is violating the legal principle of habeas corpus. Far from any evidence implicating Russia in a crime, the evidence so far points to the British authorities illegally detaining the Skripals for propaganda purpose. That nefarious purpose is clear: to demonize and delegitimize Russia as a sovereign state. The Skripal saga and official British clowning around would be laughable if the consequences for international relations were not so dire. The British authorities should be the ones in the dock, not Russia, to answer a case of forced abduction and incitement of international conflict.